Fortnite has partnered once again with Samsung by offering an exclusive skin to owners of the Samsung Galaxy S10. Players would be getting their hands on the iKONIK skin with the purchase but it turns out players will have to wait a little longer to get their hands on that skin. Samsung has announced the skin has been delayed and there hasn’t been a date given for when players will be able to get the skin. There must have been some sort of bug that popped up with the outfit since Samsung mentions users having the “best experience” which isn’t something you hear too often with a skin. The Samsung Galaxy S10 exclusive iKONIK skin. 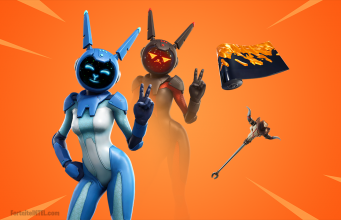 On the bright side, if you were able to snag the skin when it became available for a short period of time you’ll be able to hang onto it forever. This news was announced on Samsung’s website. You can read the full statement below. We’ll keep you posted on information going forward regarding the exclusive iKONIK skin. 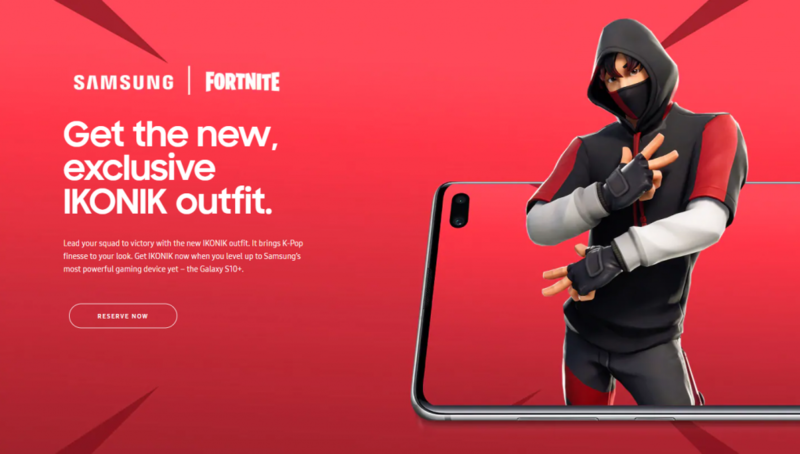 In order for Galaxy S10 users to have the best experience redeeming the iKONIK outfit and Scenario emote, both Samsung and Epic Games are taking extra time to further review this process before making the promotion widely available.